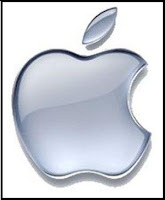 stockOzone - Financial Blogs | Stock Analysis | Expert Investing Ideas | Global Market News Apple: Low Cost Macs In The Works? Apple: Low Cost Macs In The Works? The rumor that Apple (NASDAQ: AAPL) is going to launch a low cost version of its Mac computers has just refused to die down.Apple, in an attempt to increase its share of the personal computer market during the worst economic climate in its corporate history is tailoring changes to a pair of its offerings that will help drive down prices of some of the most popular Macs. The latest move is being seen as an interim soultion to counter the growing market share of low cost netbooks -until the company is ready to lanch its own version of low cost PC.. It is being speculated that Apple may introduce affordable versions of both the 13-inch MacBook and iMac in coming days. However, exact pricing is unclear or still undetermined at this time. The first batch of more affordable Macs is expected as early as this spring as part of a restructured MacBook line. The current MacBook product line starts at $999, while the desktop iMac line starts at $1199.